As Adobe heads off to the annual broadcasters confab next week, it unveils a wide range of enhancements to its Creative Cloud video apps. 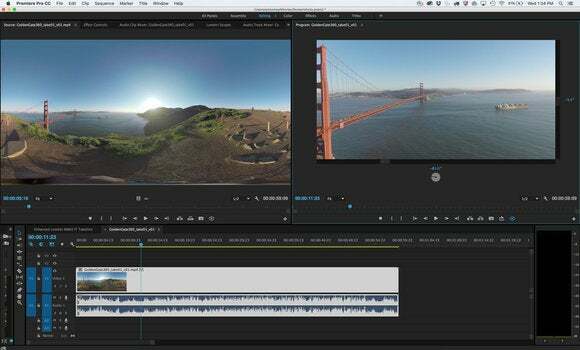 With a burgeoning number of filmmakers getting into the virtual reality scene, Adobe has announced updates to Premiere Pro CC, its flagship video editor, that will make it easier to develop VR content. A new VR “field of view” mode will let editors handle imported spherical stitched video to display field-of-view giving important information about what the viewer is seeing when they glance in a particular direction. Not only that: Premiere Pro’s export function will then flag that file so VR-friendly video players like YouTube, will automatically recognize it. Premiere Pro’s new VR workflow provides a field of view monitor to check viewer perspective and export content. 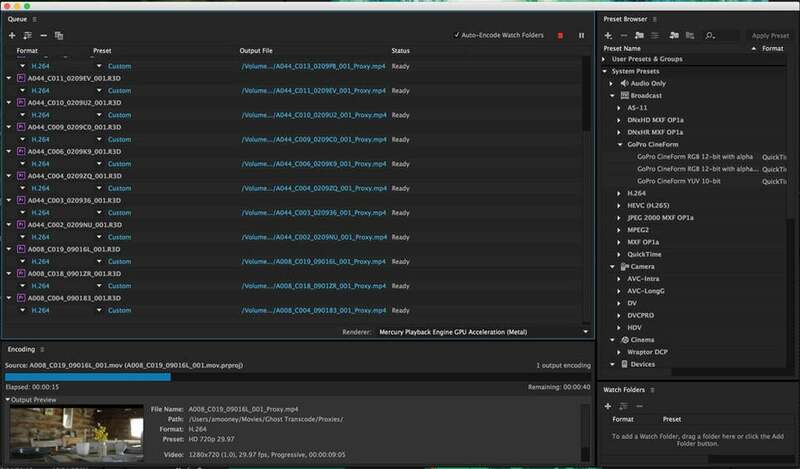 The new VR workflow was announced as part of a series of updates to Adobe’s Creative Cloud video tools including Media Encoder, After Effects, Audition, Character Animator, and Adobe Stock in advance of their presentation at the National Association of Broadcasters annual convention, scheduled for next week. Here’s a rundown of what’s on the horizon. 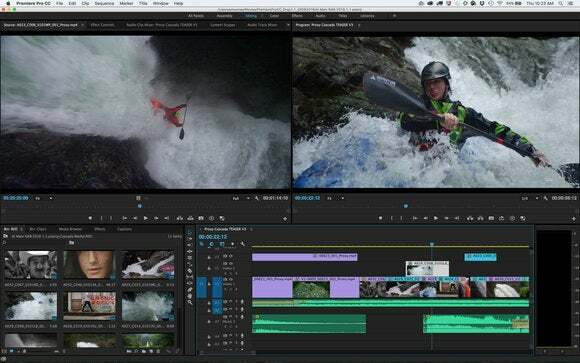 In addition to the new VR workflow, Adobe also announced a new workflow that allows videographers to immediately edit footage during ingest while importing video and audio in the background, and support for high resolution formats up to 8K—including the RED 8K full frame Weapon camera. 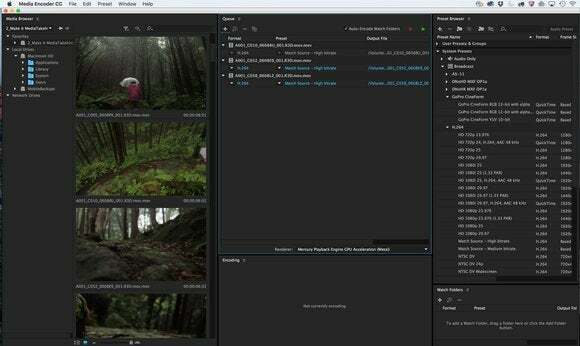 New proxy workflows in Premiere Pro CC and Adobe Media Encoder CC let you work with 8K, HDR, and high frame rate media, so editors can switch between native and proxy formats to get the job done faster. 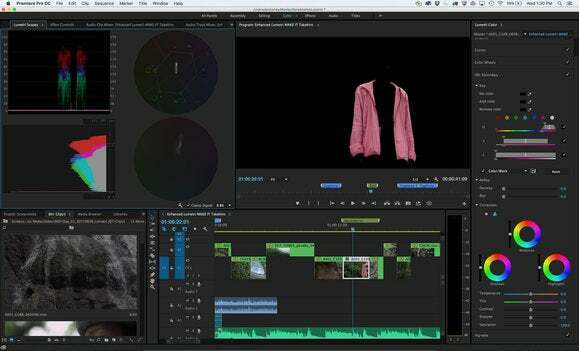 Adobe has also been busy enhancing its Lumetri Color tools, and the upcoming version of Premiere Pro CC will see expanded capabilities that let video editors more easily fine-tune, isolate, and adjust specific colors using HSL secondaries. 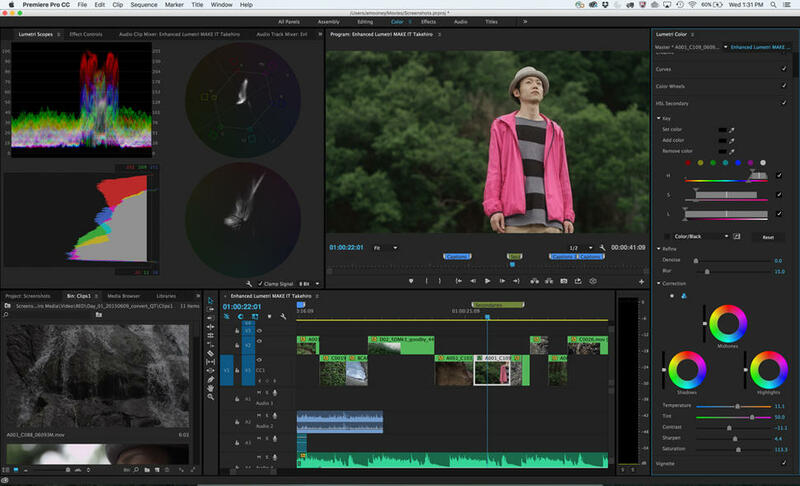 Improvement to Lumetri Color tools adds HSL Secondaries to the color correction arsenal. 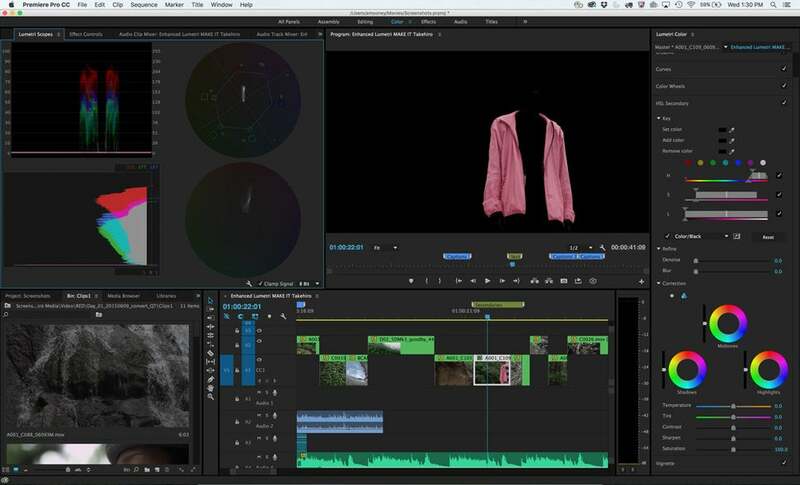 The new version of Premiere Pro CC also provides new options for captioning and titling, new keyboard shortcuts for navigating keyframes, and adds Twitter to its list of specific output destinations joining YouTube, Facebook, and Vimeo. 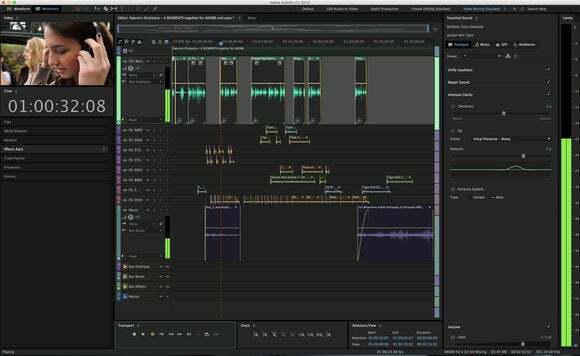 Media Encoder, a standalone app that’s tightly integrated with Premiere Pro, also gets an update that adds a new media browser panel, new support for Audition and Character Animator apps, and new ingest and transcode functionality. You can edit footage even while you’re still importing and switch between native and proxy formats when using multiple devices. Media Encoder’s new media browser lets users preview and navigate through content quickly. New browser for Media Encoder CC. 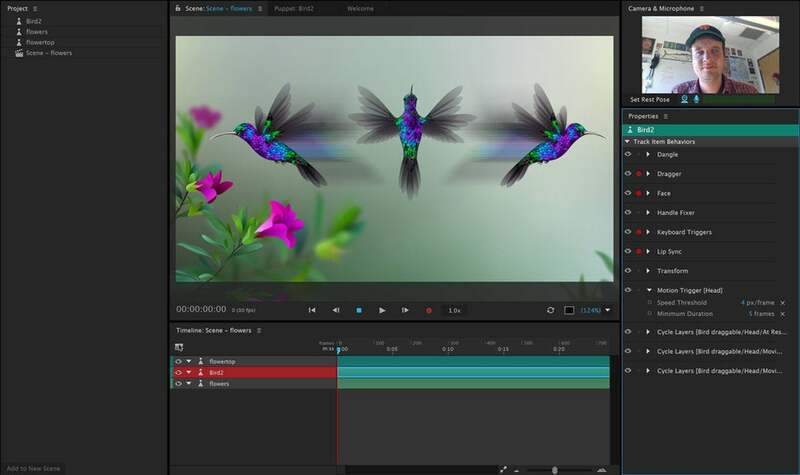 Adobe’s motion graphics and special effects editor is also getting some love in the form of a new video and audio preview engine which promises smoother playback of cached frames. GPU-accelerated effects for Gaussian Blur and Lumetri Color effects will result in faster renders. 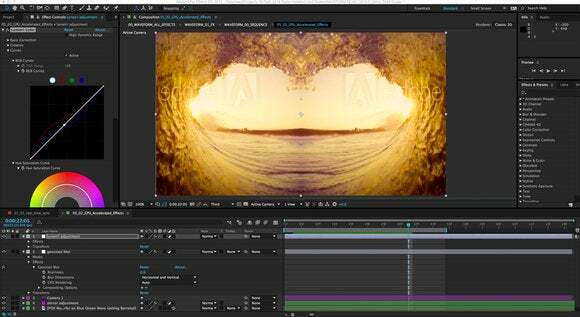 New export options between After Effects and Cinema 4D are designed to facilitate a more efficient 3D roundtrip workflow. You get faster rendering with GPU-accelerated effects. A new Puppet Tag panel for Character Animator facilitates easier tagging that lets you apply various facial, views, mouth, and trigger behaviors within the app. Character Animator’s new motion trigger behavior lets you track puppets to your face as you select different states such as left or right profile. This update introduces the Essential Sound panel to the audio app, which lets newcomers mix sound in a single panel. Its simple controls let you unify volume levels, repair sound, improve clarity and lets you save adjustment combos as presets. You can then export video projects with finished audio directly to Adobe Media Encoder. 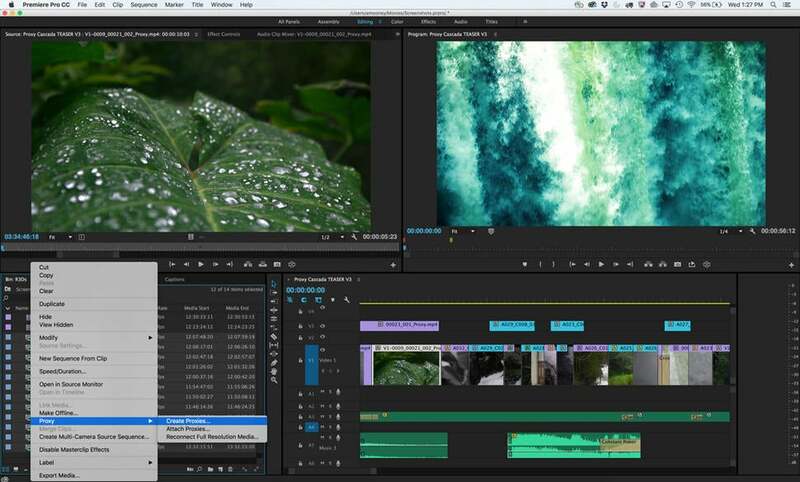 Greater integration of the Adobe Stock library with its desktop creative apps augments a new filtered search system that lets you choose from some 50 million images and videos—including 4K video—directly from within Premiere Pro and After Effects. Videos from Stock are displayed with badges, alongside information on duration and format, and linked to previews on the Stock site. 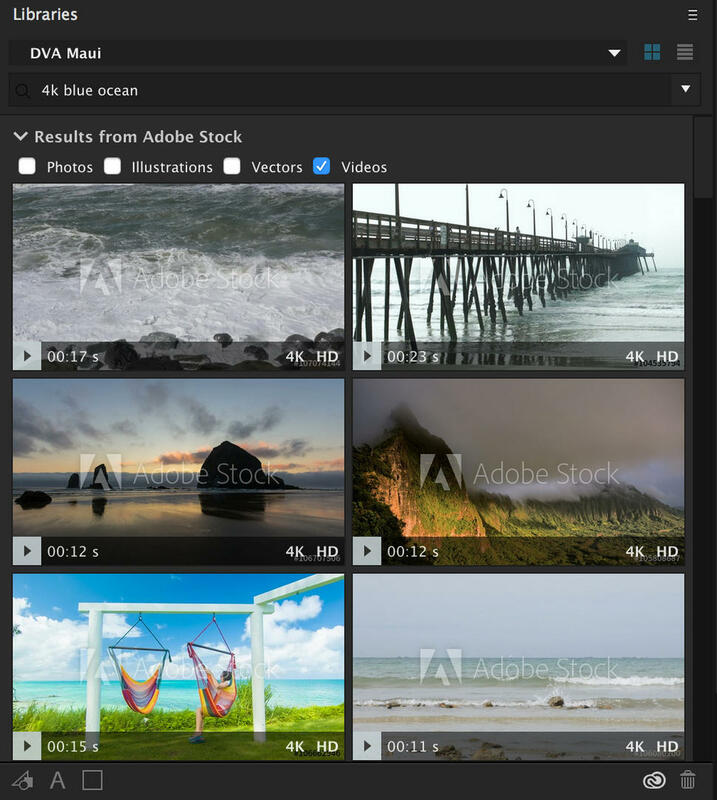 In addition, Adobe says new workflows will let Bridge and Lightroom users contribute to the Stock marketplace from within the apps. Search from over 50 million images and video, including 4K video. All Adobe Creative Cloud pro video updates will be available to subscribers by early summer. A free 30-day trial is available. More information about Adobe video apps and Creative Cloud is available on Adobe’s website.